With only one match remaining, we will now be doing hand-for-hand coverage between Phil Galfond and Ben "Sauce123" Sulsky. Hand #1: Sulsky limped on the button, then folded to a shove from Galfond. Hand #2: Galfond folded on the button. Hand #3: Sulsky open-shoved on the button, and Galfond folded. "Just us," Galfond said, smiling. "I'm not surprised," Sulsky responded. 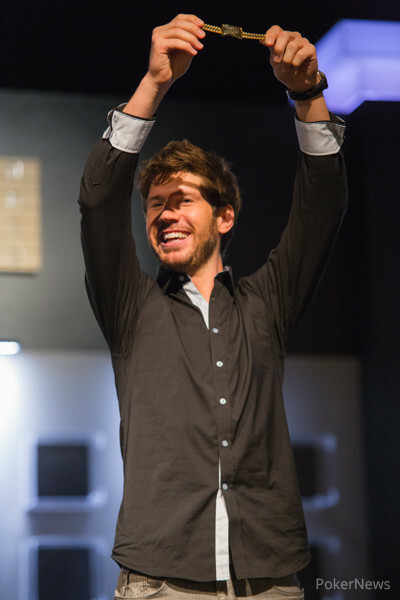 Hand #4: Galfond limped in on the button, Sulsky checked, and the flop came . Sulsky check-called 25,000 from Galfond, and the turn brought the . Both players checked. 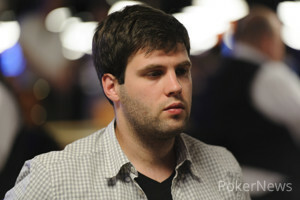 The river was the , Sulsky led out for 85,000, and Galfond folded.